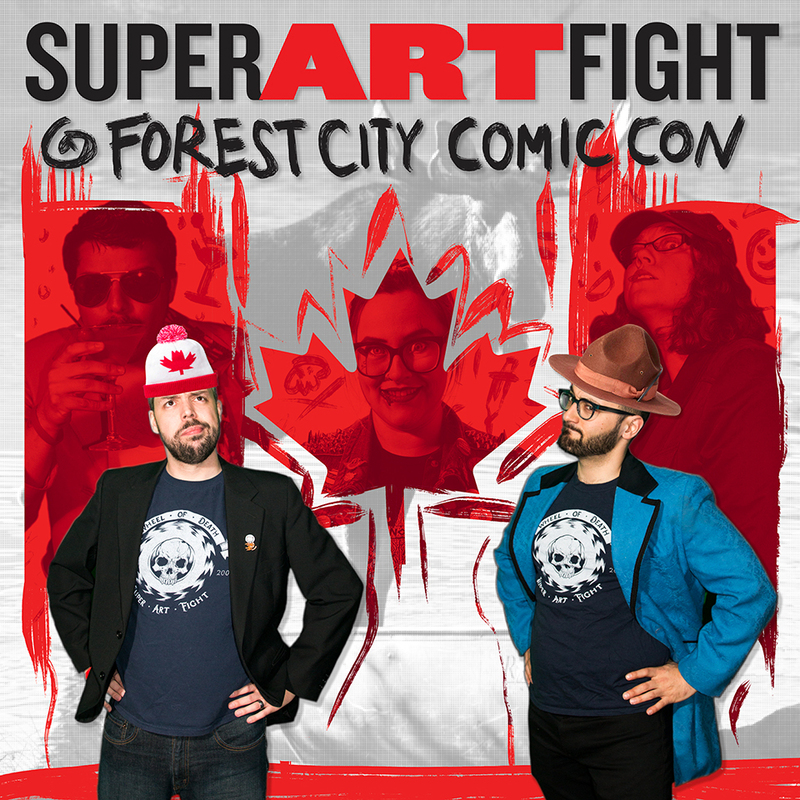 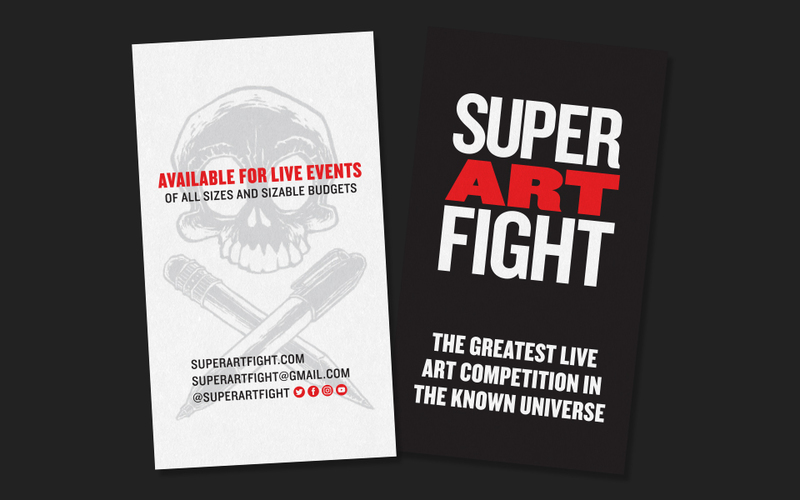 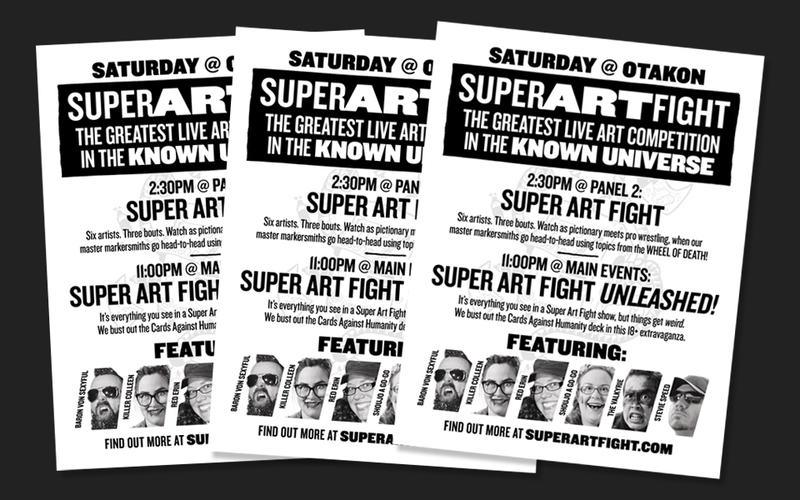 since 2017, i've been lucky enough to be able to compete in and design for super art fight, a live art competition performance based in the baltimore/dc region. 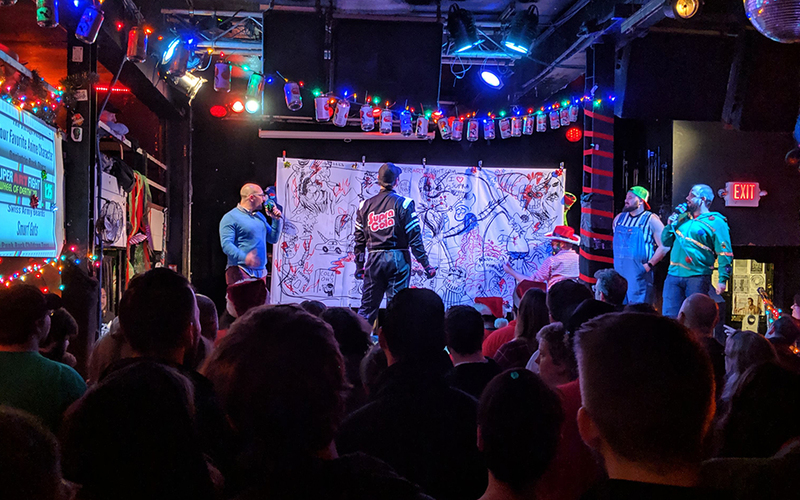 super art fight is best described as a combination of pictionary and pro wrestling, where two artists in stupid costumes and personas share a canvas to draw rotating topics to win over the audience. 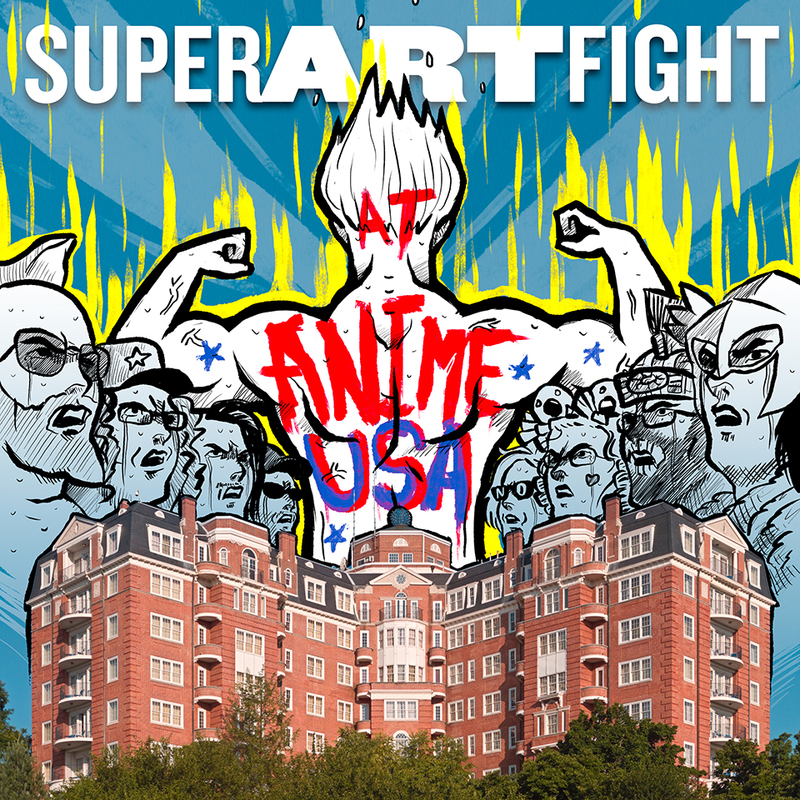 in 2018, i was tasked with becoming super art fight's core designer, taking the bulk of the role from one of the showrunners to allow them to focus more on administration. 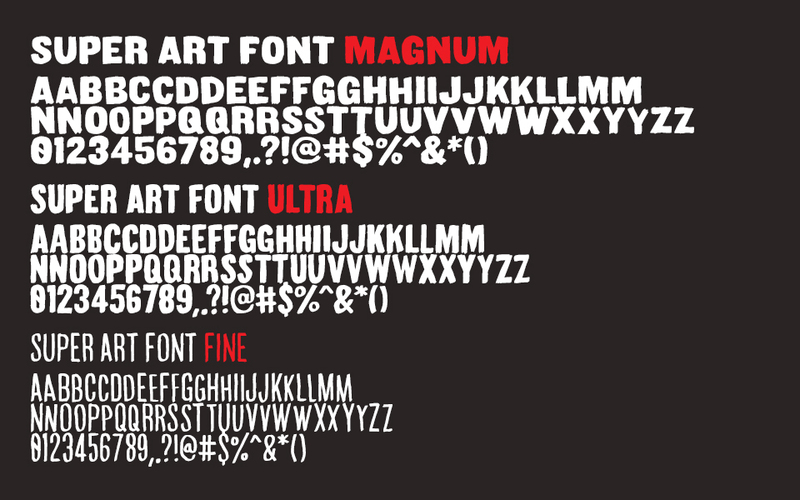 i proposed a logo redesign and refreshed direction for the brand, which included a suite of logos and graphic elements as well as a fully-custom hand-drawn font called super art font. 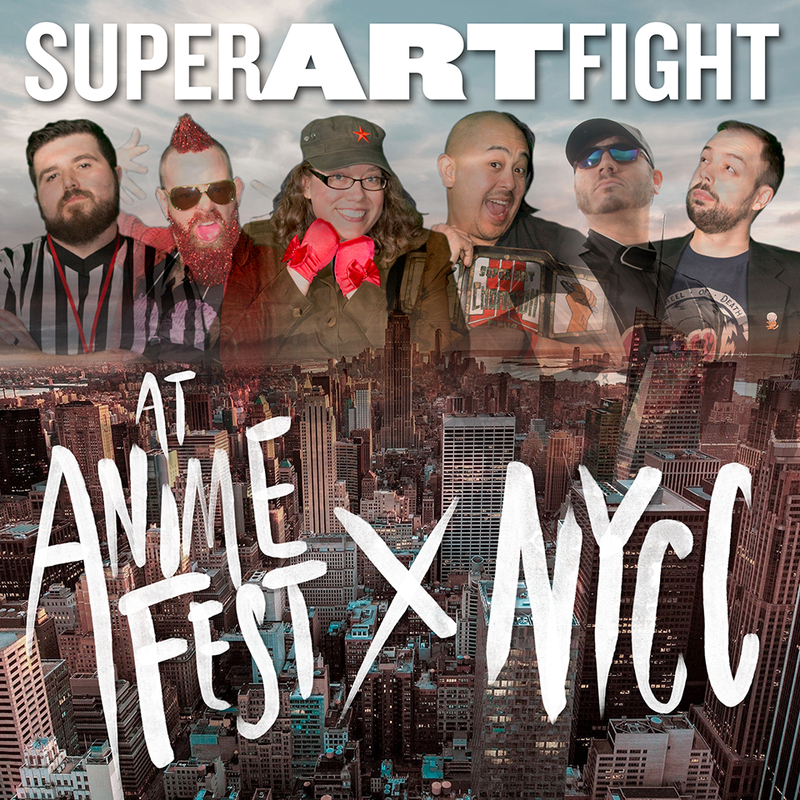 these assets, including an in-progress website redesign, are set to become key elements of super art fight in the near and forseeable future [super art fight, 2018-current]. 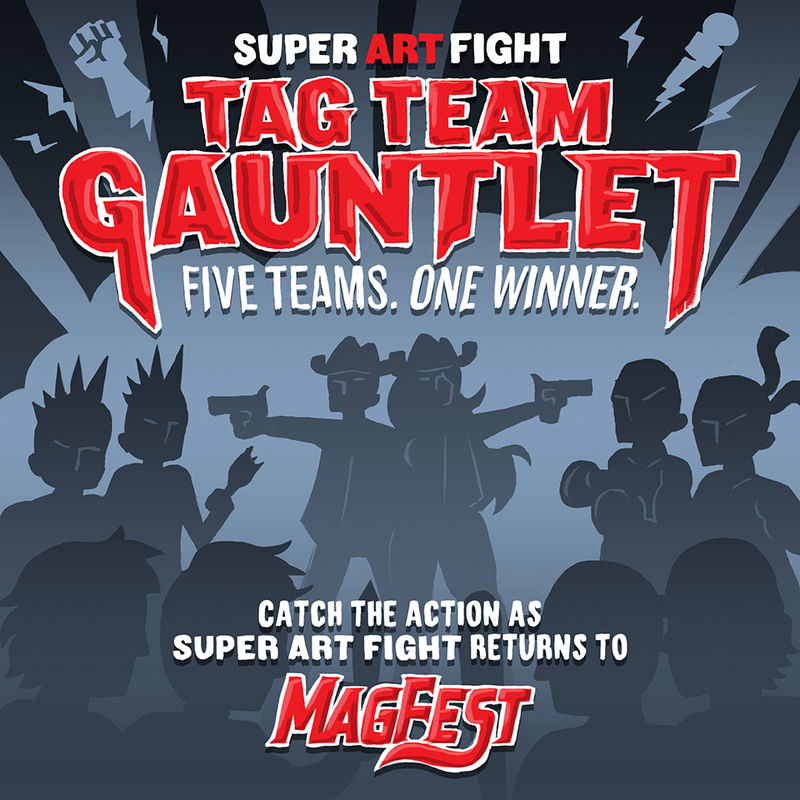 as a designer for art fight, i create posters, flyers, and banner ads promoting individual shows, as well as overarching branding materials such as business cards. 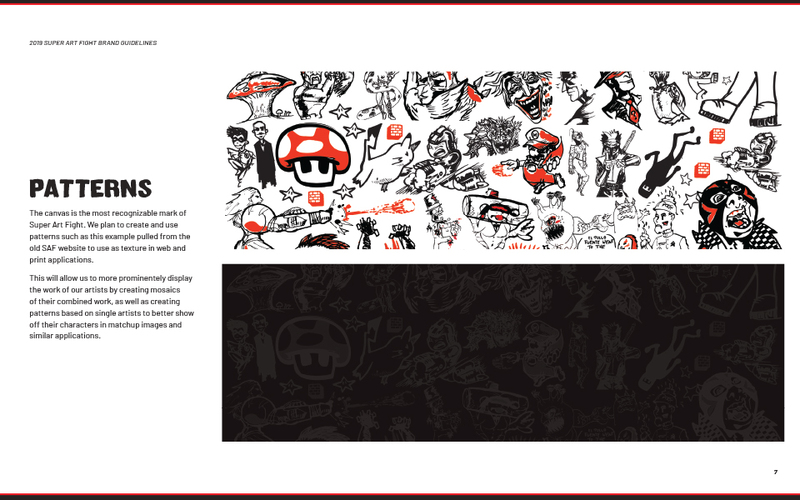 the holiday poster below is my illustration, while the (ultimately unused) unleashed poster is my lettering work in tandem with artwork by michael bracco [super art fight, 2017-current]. 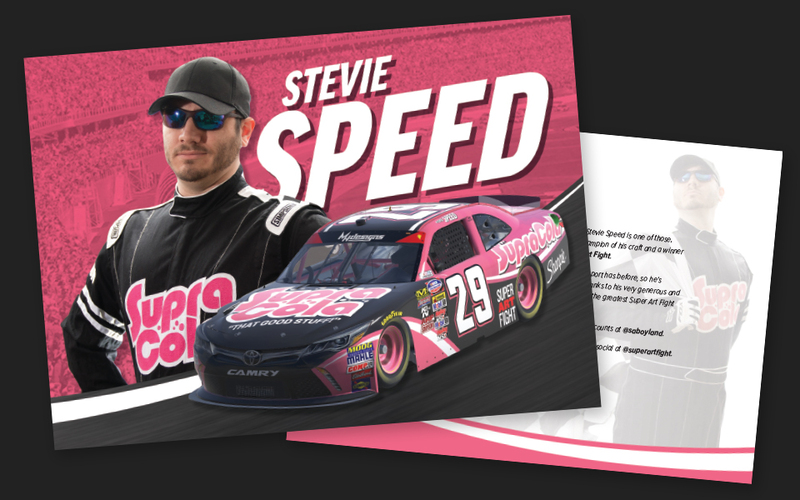 stevie speed is a cocky, world champion megastar race car driver, and also really just me in a firesuit and sunglasses. 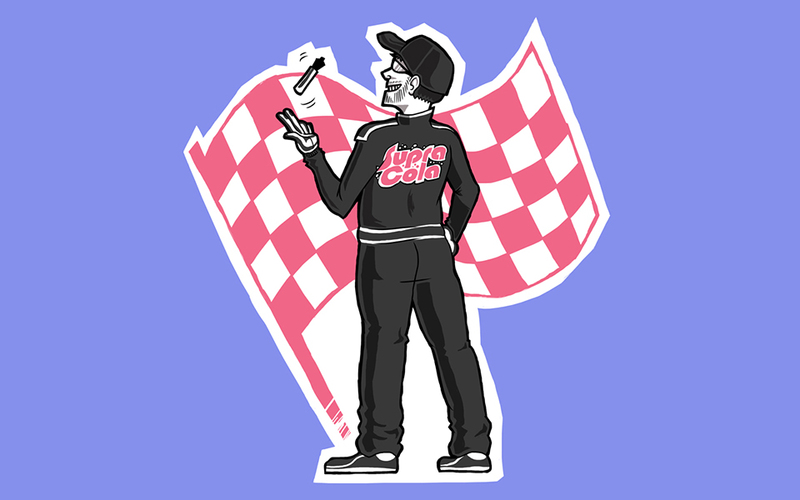 i designed a fake cola company to sponsor my character and the branding materials to go along with it [super art fight, 2017].